Women aren’t the only ones who need style and comfort when it comes to their wig styles. Not only were men the pioneers for wearing wigs, they also began altering wig materials and construction to make them more appropriate for everyday wear and use. Initially, they were worn by higher classes to cover male pattern baldness, then eventually evolved to be a fashion accessory available to all classes throughout Europe. Today is no different, the same qualities that were coveted back then are still a necessity today. More importantly, technology has afforded wig manufacturers the ability to create more quality styles for less money, and in less time. Alex Wig by New Look is a classic cut made from synthetic fibers with an average and adjustable cap. It has a side part and short layers all around for a very natural look. Shorter hair in the front, with longer layers in the back and sides make it a haircut that can be worn at anytime, for any occasion. If wearing this style daily is a must, you can choose from natural colors like black, blond, or gray; while more colorful styles are also available by special order. 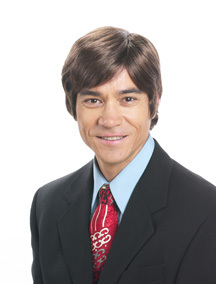 Frank by Wig America is a similar but more full of a style, with thick waves. The layers in the front are more tapered around the back and sides for more style versatility. There is a side part and skin top that will help the style easily blend with your skin complexion, and feel more confident that no one suspects you are wearing a wig. Star by New Look is suitable for Caucasian and Asian men who desire thick and longer hair. The skin top makes it easy to wear and gives it a more realistic part. Perhaps it is named for its popularity among celebrities and famous names. Many of the older men in Hollywood stay loyal to their haircuts and don’t venture into the younger, more trendier looks. If a receding hairline is your problem, Star by New Look is your solution. It also looks great on younger men who suffer from early hair loss. 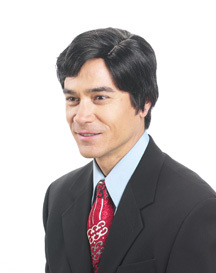 There are several men wig styles available that can give you back the confidence in your business meetings, and family outings you crave. Click here to browse them now. Being able to change your look is a plus for some, and essential for others. Wigs give that versatility. Hairpieces have been used by men and women for centuries as fashion accessories, and to conceal medical struggles. Wigs and hairpieces can give any man or woman more confidence in their jobs, and help them to overcome the stigma associated with medical treatments or illnesses that result in hair loss or scalp issues. They also are a very inexpensive alternative to going to the beauty shop or salon, giving us more for our money — especially when they’re on sale! Instyle Wig by Forever Young is perfectly named as curls are always in style! These are bouncy, bold colors in either red or blond that exude confidence, sophistication, and class. This wig can instantly put a smile on your face with curls all over, and body as a plus! Reminiscent of American sweetheart and fashion icon Marilyn Monroe, you will definitely turn heads in this easy and bouncy girly style that is both timeless and chic. 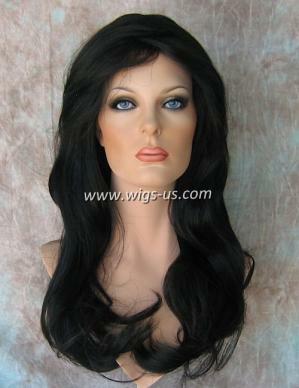 This wig is available in two colors, provides full scalp coverage, and all with 100% Kanekalon fibers. The sides and back are just as curly as the front — fun and too cheap to pass by. If long hair is your taste, Celena by Sepia has long flowing locks all over with a few shorter layers in the front. 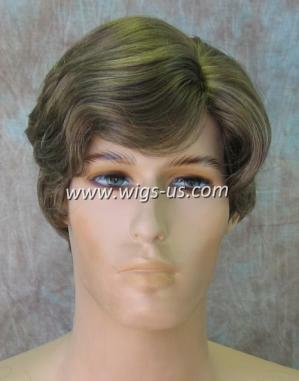 This wig is made from washable, synthetic fibers that go back their original style afterwards. As you can see, the hair can be brushed around the face or in any direction in the front to get the style you want. Celena is available in several bright and fun colors as well as black and blond. Definitely a must-have for any fashionista. Diana 2 is a bolder long wig with tight curls that surround your face and naturally make it appear thinner. Without much effort, this wig can glam up any evening out, party, or other social activity. The curls look fresh every time you put it on, no more waiting on the curling iron to get hot, or hoping the hair spray holds. This is an instant fix to manes that generally turn frizzy in humid weather, and with proper care, will last a long time. Wear the curls you want without all the work. Worry about what you will wear, not your hair. There are several more styles on sale for any budget, age, or style you desire, take a look here.